25 year experience in Business & financial market. 15 year experience fom 1991-2006 in import of non ferrous metal scrap. 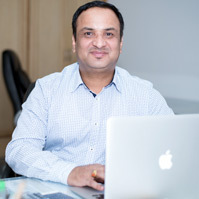 Mr. Rajesh Gupta is present Director of the company and part of Management. His knowledge and expertise has helped the organization to build new growth horizons. His vision has enhanced the diverse services provided by the company and has enriched our clientele.